Obama plans on ramming this covert trade agreement through Congress to keep you from knowing what it’s really about. 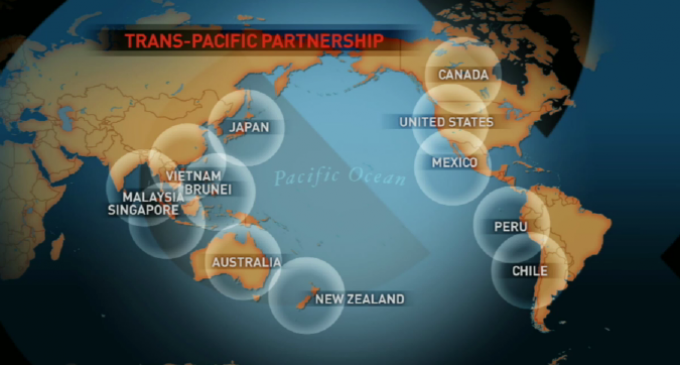 The TPP will not only place all benefit upon top corporations, it will OVERRIDE DOMESTIC LAWS. That’s right, due to the nature of the agreement, America would be surrendering even more sovereignty to corporate interests. Watch this video and SHARE. It’s only with the light of public scrutiny that we can defeat this covert operation.